Alvin Lee started his comic book career at 17, working as an comic book inker, mostly for Pat Lee’s art, and was co-founder of now defunct Dreamwave Productions. Lee worked on titles such as Dark Minds, Neon Cyber, and Warlands. His first comic as penciller was for Warlands: Banished Knights. 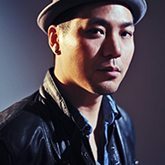 In 2001, Lee joined UDON as a lead artist with the revival of Capcom’s Street Fighter comic books and Darkstalkers comic books. His talent has also led to the game art of two Capcom video game titles, Capcom Fighting Evolution and the re-release of Super Street Fighter II Turbo HD Remix. UDON was also an independent publisher and worked as a contract studio releasing a few of Marvel & Wildstorm titles. Lee left the UDON Entertainment group as of mid-2007, and has worked with Marvel since. Most recently, Alvin has released Marvel’s Heroes for Hire issues #14 & 15, filling in for Marvel penciller Clay Mann.